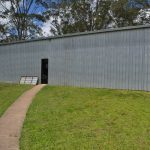 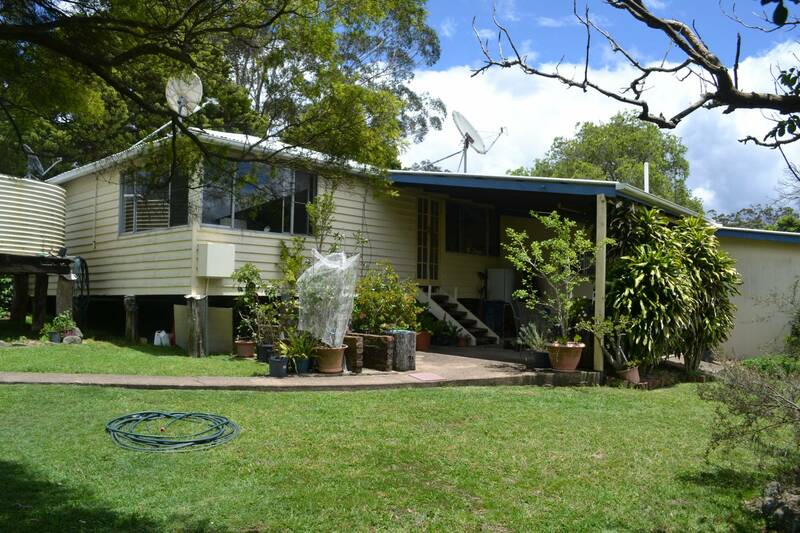 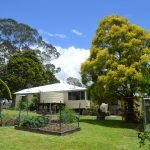 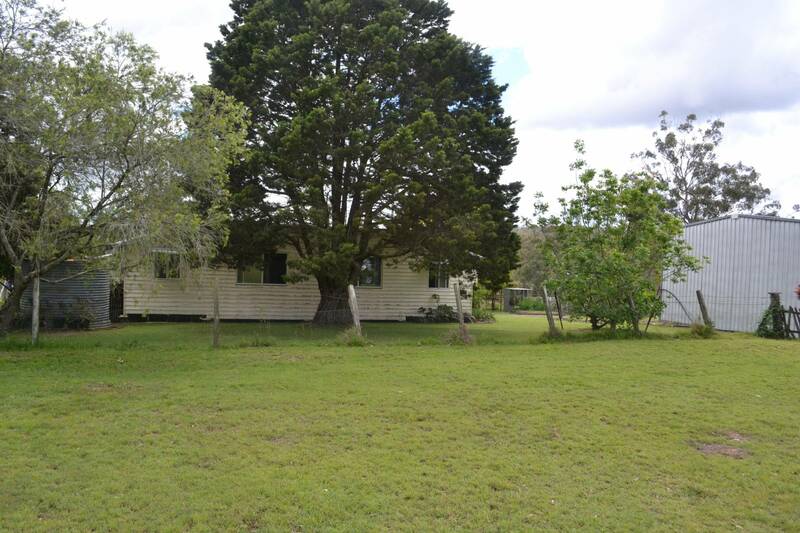 108 Childs Rd, Monto, Qld 4630 (approximately 43km north east of Monto). 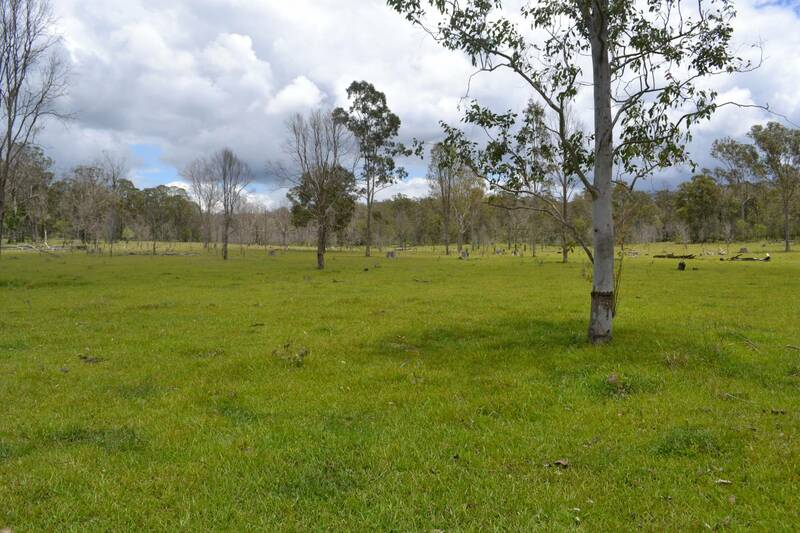 812.356 Hectares (approximately 2,007.37 acres) Freehold with PMAV in place. 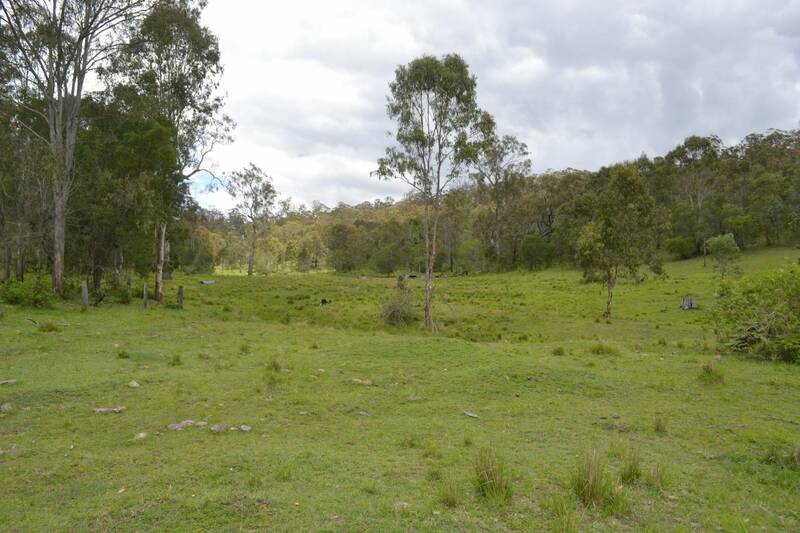 Lot 79 on Crown Plan CTN 355 Parish of Dawes. 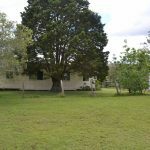 Rates are $569.70 per half year after discount. 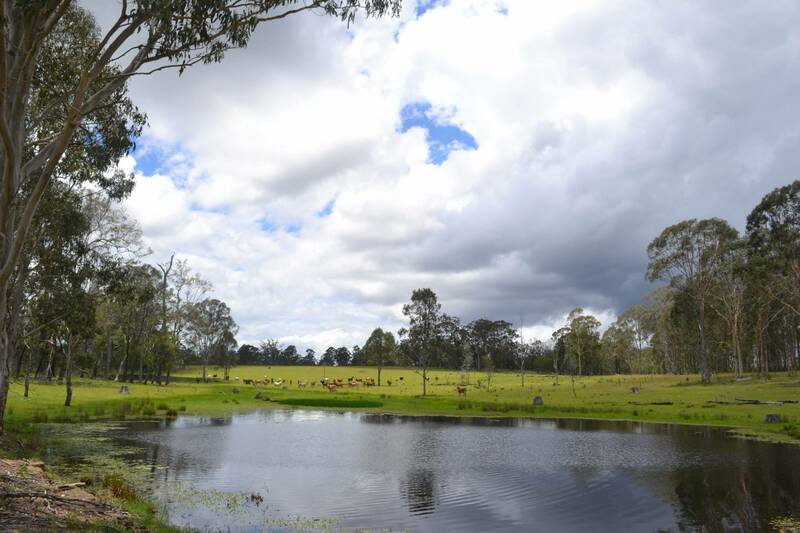 850mm (34 in per year). 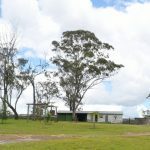 Rural power, satellite internet, radio telephone, 42.8 km via school bus from the mail box to Monto State Primary and Monto State Secondary Schools and St. Therese’s Catholic Primary School. 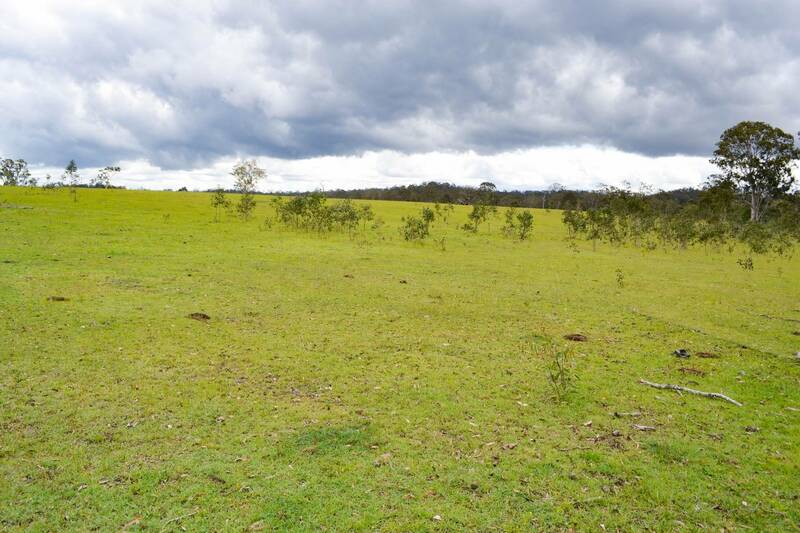 High altitude soft grazing country suitable for breeding, backgrounding or fattening females. 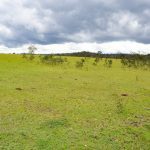 Grasses include kikuyu, paspalum, bissett creeping blue grass, burnett blue grass and other natural species, plus introduced legumes. 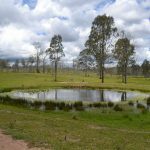 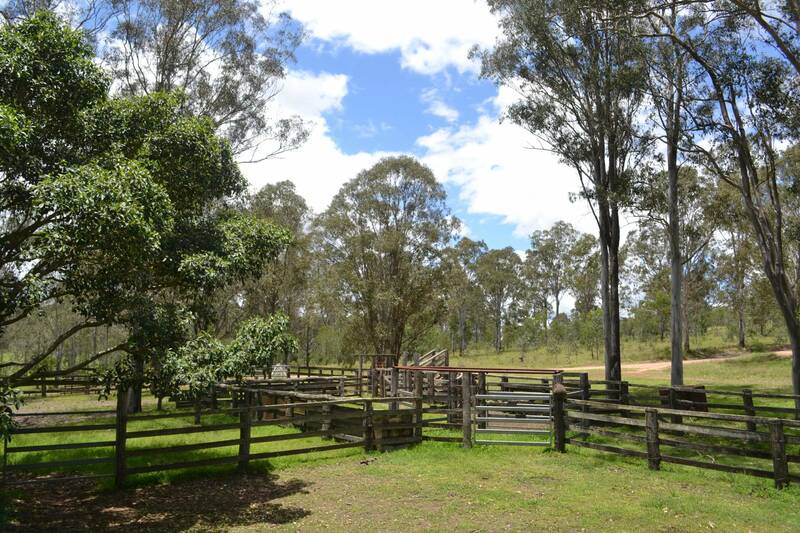 The property also has large stands of native timber species, including spotted gum, blue gum, yellow stringybark, bloodwood and gum topped box suitable for commercial harvesting. 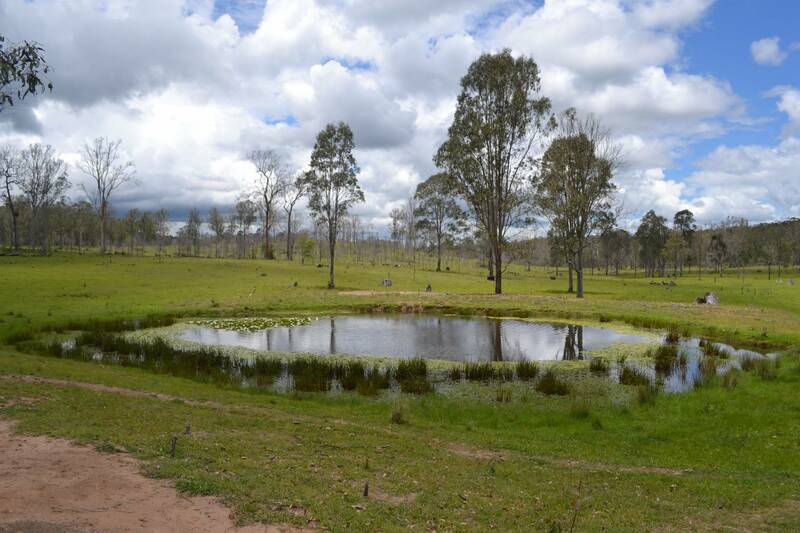 Very well watered by natural waterholes and several open access dams that have never been dry. 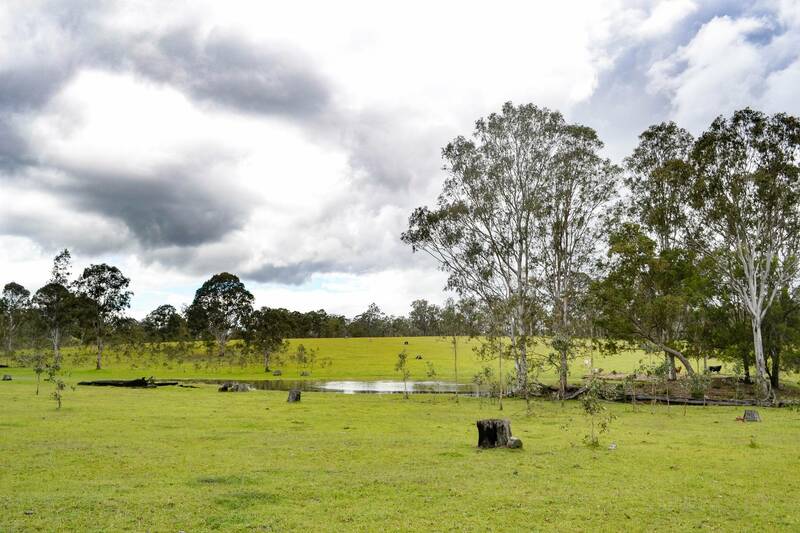 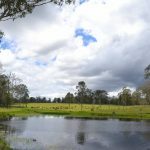 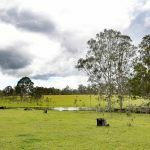 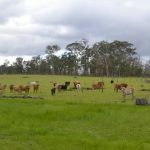 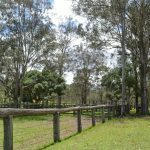 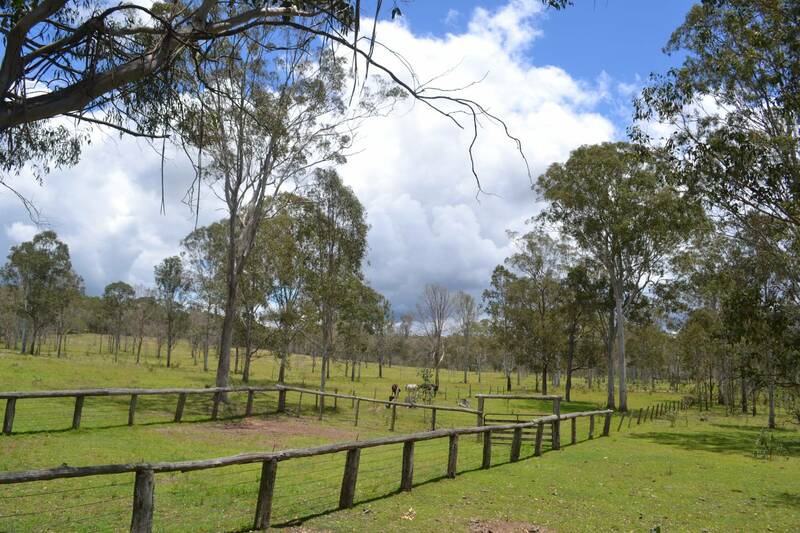 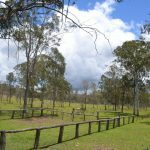 Fenced into five main paddocks plus holding paddocks, serviced by a central laneway to the timber cattle yard. 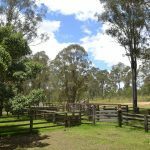 Cattle Yard: Sawn timber cattle yard with large timber and cable receiving yard, forcing yard, drafting pound with a four way draft, three panel crush, steel head bail, calf branding cradle and loading ramp. 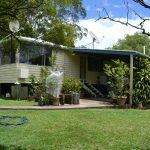 House: The low set five bedroom weatherboard home, is in tidy condition with open plan kitchen, dining and lounge and is set in an attractive garden area. 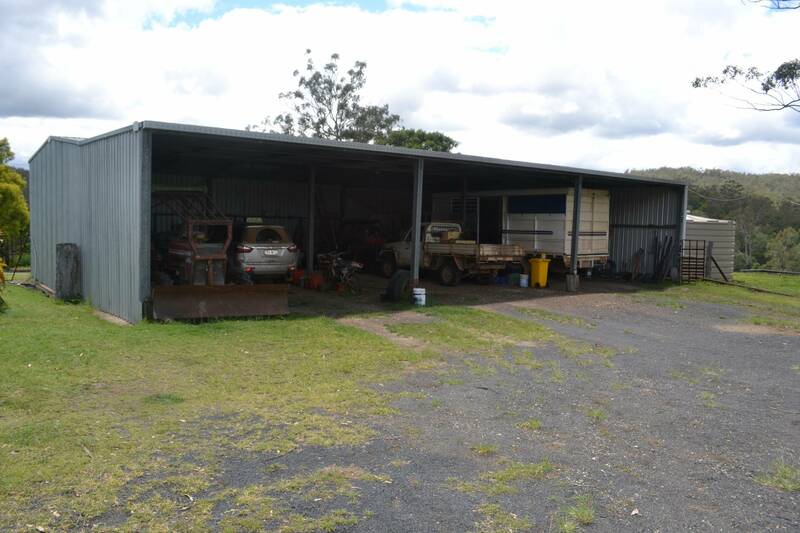 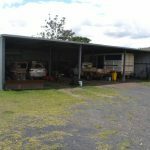 Shed: 18m x 8m three bay fully concreted steel machinery shed with power and lights, with 18m x 4m skillion attached. 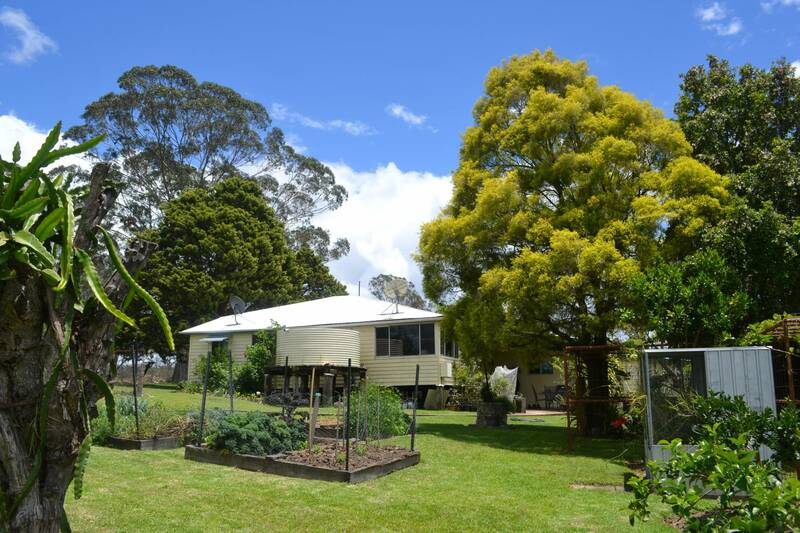 There are two x 22,712 litre (6,000 gallon) poly rainwater tanks on the shed that are plumbed to the house. 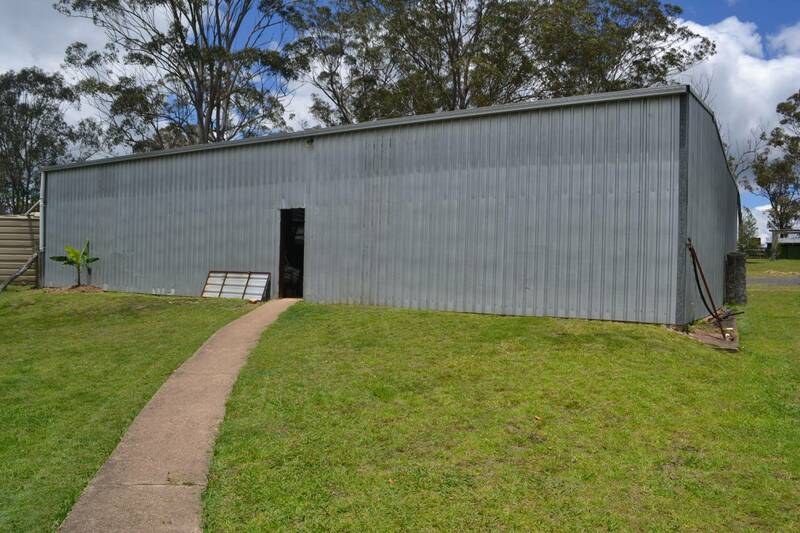 Stable: Stable and feed room with horse yards attached. 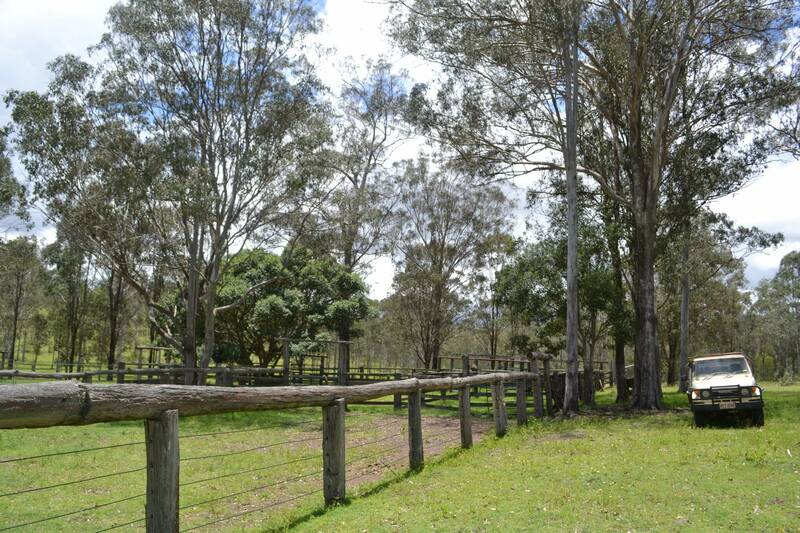 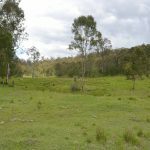 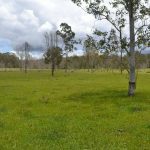 This is a very unique, high altitude grazing property with enormous commercial timber potential.